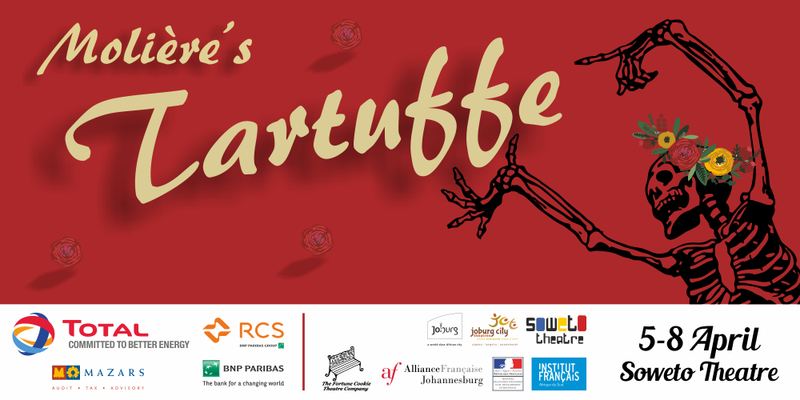 Exploring the way in which people are easily manipulated by symbols of power and honeyed words, Tartuffe is one of the French Shakespeare’s most famous work. Sylvaine Strike and the Fortune Cookie Theatre Company will be then touring in South Africa: Durban, Cape Town, Johannesburg and … more dates to come, stay tuned! Molière redefined French Theatre in the 17th century, becoming one of the greatest architects of social satire and his impact can still be felt today. Working under the patronage and protection of the “Roi Soleil” (Sun King) Louis XIV, hapenned approximately thirty comedies in which he satirised the shortcomings of the French society of his era. He was extremely successful (to the extent that French is now called “the language of Molière”) but had to suffer censorship and arrest due to his accurate derisions and stinging truth.